There is a reason vacation time is ranked at the top of the list. It’s significantly better than private schools in Korea. A standard contract includes at least 4 weeks of paid vacation (aside from national holidays) and one can potentially have even more. There is what is considered ‘desk warming hours’ where you are expected to come into work but you have no classes. Typically these ‘hours’ are in between semesters when students are on vacation and you don’t have any holiday camps. Certain schools will allow you to take ‘extra’ paid vacation time while others will force you to come and put in regular working hours. 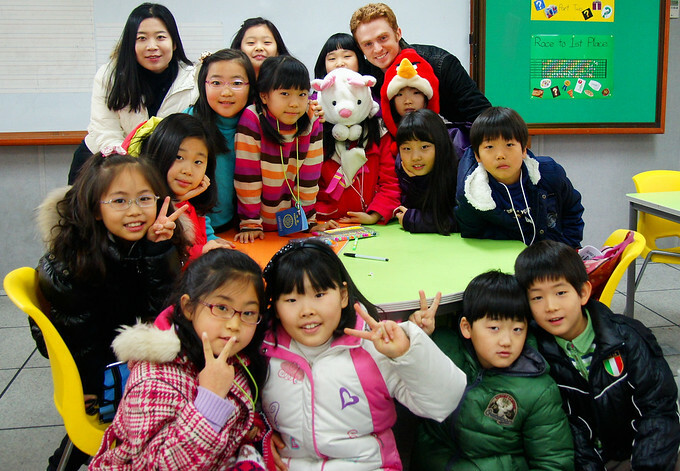 In public schools you will be co-teaching with Korean teachers. The Korean teachers, for the most part, are excellent at controlling classroom discipline. This makes for a far more enjoyable experience because the kids are actively engaged in the lesson and less likely to act out. Working at a public school is a more professional style position than in a private academy. You will work regular government hours (830 to 430), receive generous vacation time and a regular monthly salary. There are never any issues of not being paid on time that plague certain private academies. Your job is based purely on ‘teaching’ as the public schools are not businesses like the private academy. You will never need to concern yourself with renewal or retention rate in your classes. Unless you apply with e school directly (rarely do schools hire directly) you will be forced to likely choose a region where you’d like to work. Even if you get the region/city of your choice you have no idea what school you will be sent to until you arrive in Korea. It could be rural or it could be downtown. One of the advantages of working in a private school (hagwon) is that you have full control over where you are applying and can find out specific information regarding your school before you a sign a contract. Although the salary at a public school is generous you don’t have the ability to negotiate a higher wage that what you are qualified to earn based on your qualifications. One of the nice features of working for a hagwon is that you have the opportunity to negotiate all aspects of your contract before signing it, whereas in a public school, it is more or less take it or leave it. Renewals are not as easy of a process as it it with private academies. You and your school may both strongly desire for you to resign on for another year but sometimes government funding is cut and positions are eliminated .